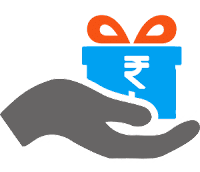 Kerala Flood Relief - :: MaruGujarat :: Official Site :: Gujarat's No. 1 Educational Website :: Maru gujarat :: મારું ગુજરાત , Gujarat Jobs, Maru gujarat, Marugujarat, GPSC,UPSC,TET,TAT,BANK EXAMS,STUDY MATERIALS,DOWNLOADS,ONLINE TEST,TIPS,PLANNER,ALL RESULT AT ONE PLACE,GUJARAT PUBLIC SERVICE COMMISSION (GPSC),UNION PUBLIC COMMISSION (UPSC), PANCHAYAT JUNIOR CLERK, GUJARAT UNIVERSITY,MAGAZINES,NEWS,GUJARAT STUDENTS, ROJGAAR SAMACHAR, AND THE BEST SITE FOR PREPARATIONS OF ALL OTHER COMPETITIVE EXAMS. An appeal to contribute to the relief and rehabilitation of the flood victims of Kerala. As you know, Kerala is facing unprecedented crises due to the deluge. Many have lost their Lives and thousands & thousands are displaced & living in relief camps. Properties have been destroyed & houses have been lost. As a citizen of India, it is our duty to reach out to our brethren in need. Therefore we appeal to you to help the flood victims of Kerala by raising fund towards the relief & rehabilitation.